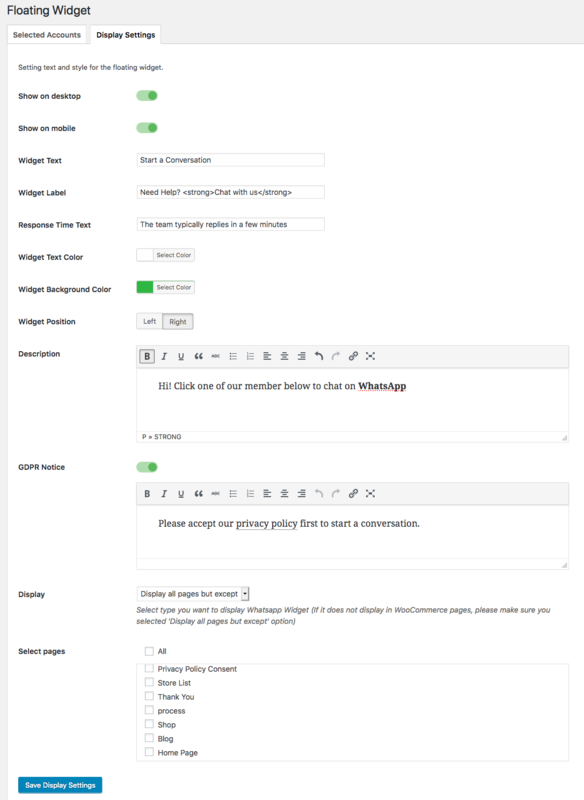 After installing the plugin, you have all settings in hand to customize a WhatsApp widget or button on your WordPress site by adding member accounts or support agents with phone numbers or group chat links. 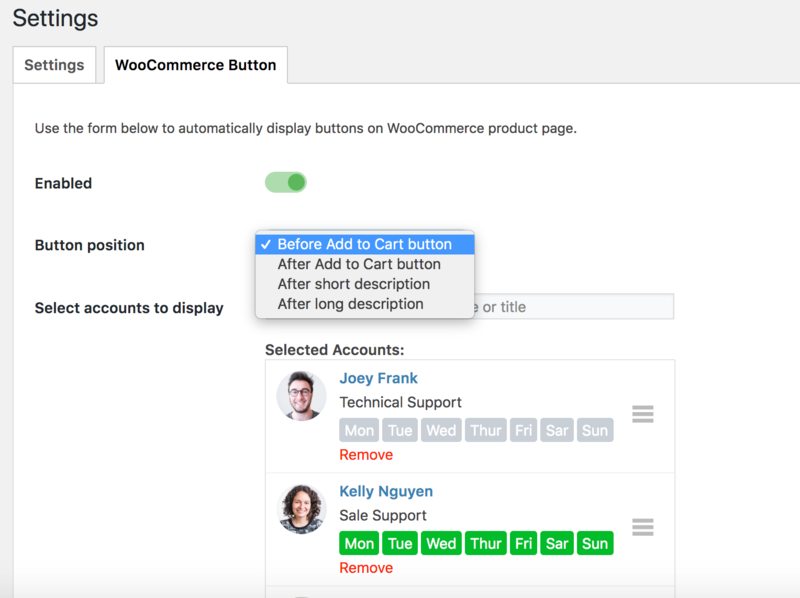 The widget can be appeared on all pages or only desired pages you set. 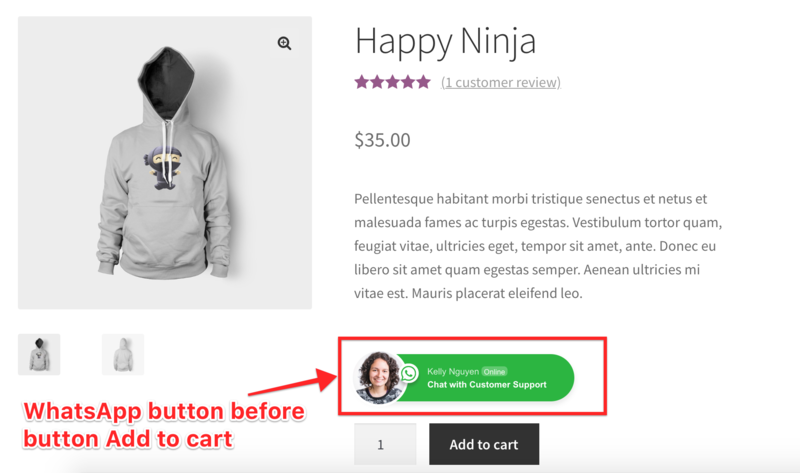 Besides, you can also enable WhatsApp button under WooCommerce Add to cart button. 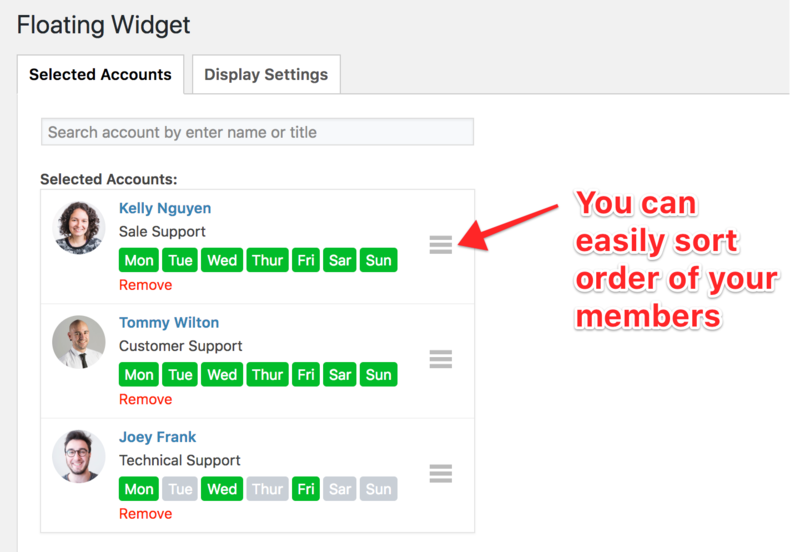 Each account has its own shortcode which you can copy and paste anywhere on your site to offer customer support. 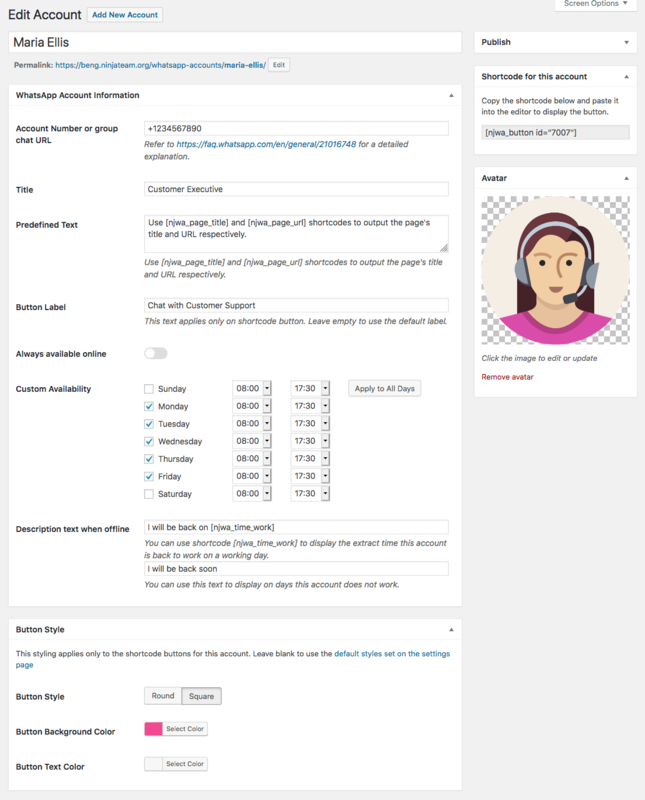 Once a customer clicks on an account he wants to chat, he is then redirected to WhatsApp app if he is on mobile or WhatsApp web if he is on desktop.